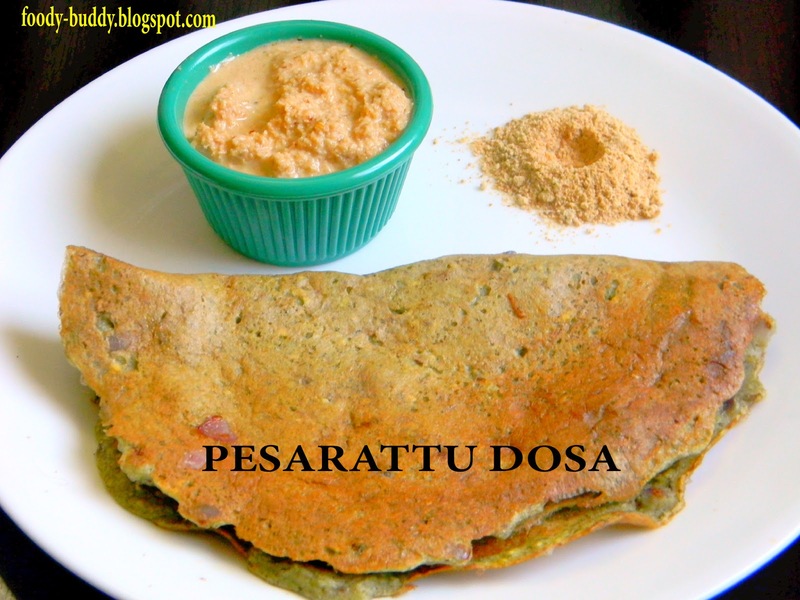 Pesarattu is a lentil based pan cake which is more popular in Andhra Pradesh. It is made with green moong dal. 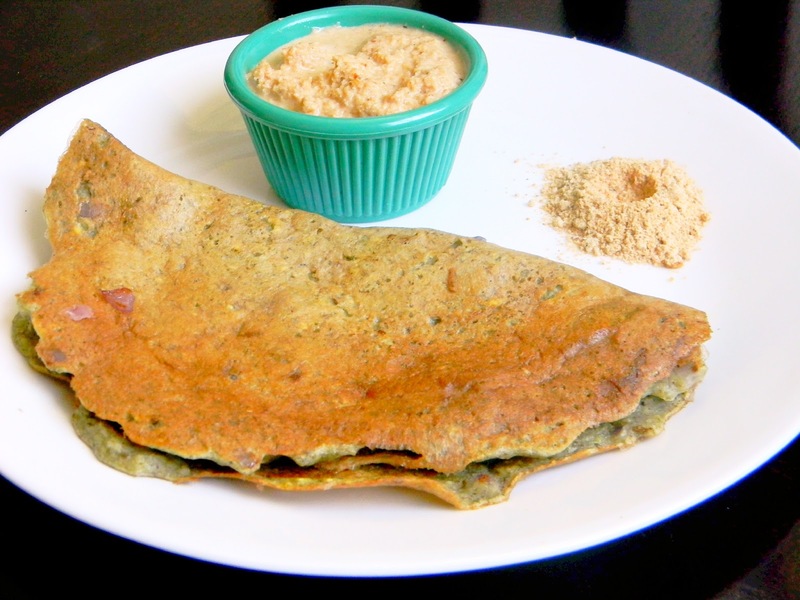 This dosa is a powerhouse of protein and fiber. I got this recipe from mother-in-law. Good to eat with coconut or ginger chutney for weekend breakfast. 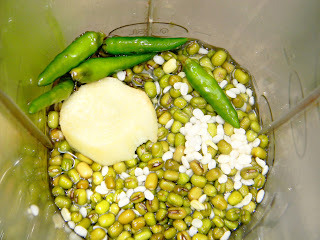 Soak the green moong dal and urad dal along with salt for overnight. The next day, drain the water and wash throughly for 2-3 times. In a blender, add green moong dal, urad dal, curry leaves, green chillies and ginger. Grind it to a smooth batter in consistency. Heat a pan and dry roast the cumin wait until color change. In a bowl, add dal batter, roasted cumin, rice flour, 1/4 cup of onion, asafoetida and salt. Mix well. Rest of the onion can be added later on top of the dosa. Add water if batter is too thick. 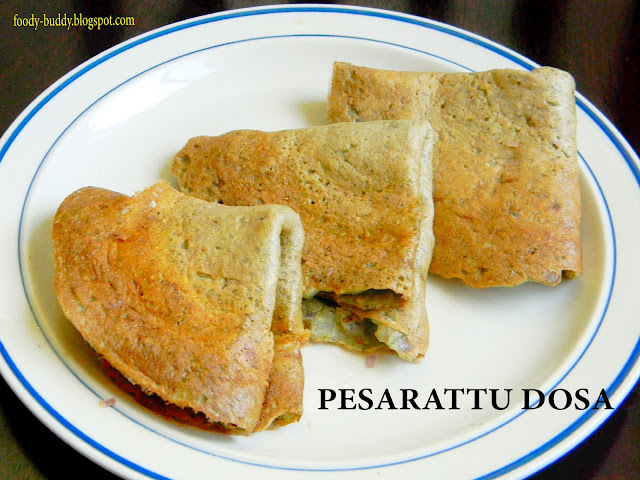 Heat a dosa pan or tawa, take a laddle full of batter, spread it like dosa. Top it with chopped onion. Apply some oil over the dosa or in sides. Cook both sides until it turns crisp. Pesarattu dosa is ready to serve. Serve hot dosa with coconut or ginger chutney or podi. You can add garlic, if you like. 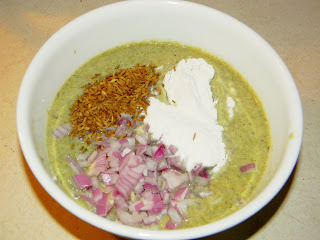 You can add more green chillies, if you want too spicy. Adding urad dal in optional. People in Andhra they don’t add urad dal to this recipe but I added urad dal to get Tamilnadu touch. 1 Cup of Dal is equal to 15 grams of fiber. Because of high fiber content, it is considered as low-glycemic.